I sat down with Marissia, founder and owner of Malakh (pronounced: ma - lak) on a breezy day on Shoal Bay East. When I left over two hours later, I was surprisingly thoroughly impressed. This is Malakh Day Spa! I had a memorable massage by Malakh Day Spa back when it was in their original location on Upper Shoal Bay East, years ago, and was curious to see the new setting. The former location which opened in 2006, was a small and charmingly dated wood building at the edge of the sea. It had enough space for conducting proper business but was not expansive as you'll see with some spas. Hearing the story of how Marissia even obtained the first location is inspiring. After years of erosion threatening the first location, she finally gave in to nature and vacated the old location and waited for guidance on the new direction. After some time passed, the new location came to light but ironically it wasn't an old condemned building that she was motivated to breathe life back in to… it was just "bush" land. With her team of helpers, they cleared the bush and left in place just the right amount of trees. Now Malakh is located on Lower Shoal Bay East and not too very far from its previous location. 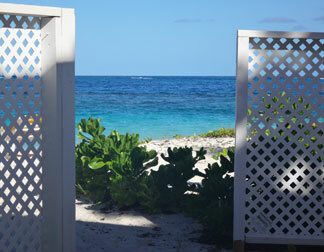 Follow signs to Elodia's on Shoal Bay and you'll find Malakh Day Spa. The new setting still offers a the sound of the sea, a view of it and to me, is an improvement if you appreciate a clean and natural, open air environment. Marissia did an excellent job of creating a simple and soothing environment alongside nature. The rustling palm fronds overhead blend sweetly with the sound of the surf, positively contributing to the scene. This is not a stuffy, sterile spa. This is naturally relaxing and the attention to detail and goals of enhancing your breathing by the staff during your service completes the experience of achieving a sense of calm. The area is pretty quiet and the only potential deviation to that would be later on a Sunday afternoon when neighboring Elodia's has live music. Otherwise, the music at Malakh is the sound of the sea. I was early to arrive and upon arrival I noticed how smooth and cool the area was. The ground is sandy, patted down, soft and quite un-intrusive for sand. 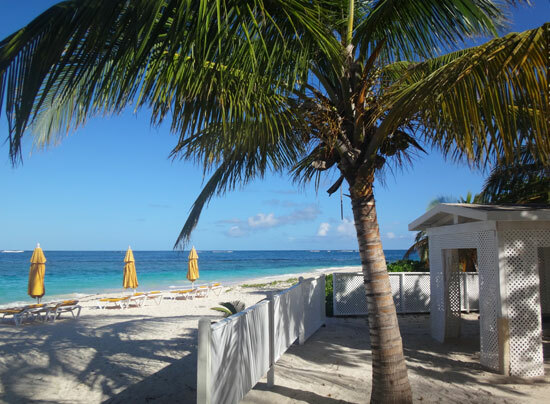 Crisp white cabanas, fencing and lattice are gathered under a surrounded by sea grape trees and coconut palms that provide adequate shade and privacy. A chic white concrete table and benches in the central part of the opening in to Malakh is where we sat and spoke. Marissia had arrived with a big basket of clean, fresh towels - all white, of course. She was dressed in white and her demeanor added to the serenity of the spa. Her background is interesting. While she is a certified massage therapist, she's also a UK-trained and registered biotechnician. I was unfamiliar with what a biotechnician does and she explained that they are trained to fix a bodily problem, not just ease pain (or mask it) as it's geared toward helping the body adjust back to its center of gravity. 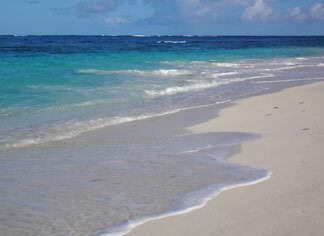 She has also trained many of Anguilla's massage therapists. She personally trains the 5 Malakh massage therapists on staff (beyond what training they arrive with) in knowing her own style - an unnamed technique that focuses on the therapeutic side of massage. She says Malakh is the only place you can experience this technique. Makes me wonder if this isn't why my massage there was memorable and helpful. The technique is integrated with the variety of massage offerings at Malakh which include some lovely standards like Swedish massage and Deep Tissue massage. As a client of Malakh, your service takes place under one of two cabanas. 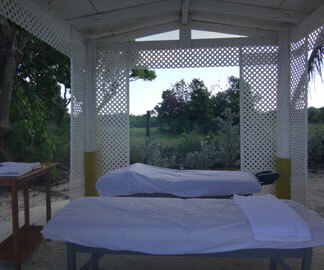 One of the cabanas is large enough for two massage tables should you be interested in a couples style massage. Curtains can be drawn for maximized privacy. Any other services such as facials or scrubs also take place under the cabanas. I loved the idea of rinsing from a scrub in the sea, just steps away. How much more natural can you get? It's a brilliant set up! Massage treatments start at $110 US for 60 minutes. Their website offers a complete menu of services. The word "Malakh" is hebrew and means "angel". Many years ago, Marissia saw the name in a book when she was in Washington DC. She noted the name as special and vowed to use it one day. When she found herself starting her own business to do what she loves, there wasn't any hesitation for the name - Malakh Day Spa is was! I know some people who call massage work the work of angels. Finding the right one to make you walk away feeling renewed isn't always easy but Malakh delivers on that need and many others agree. Pair that with the casual and natural environment, the bright blue water of Shoal Bay, the breeze, the sounds… it's a magnificent experience if you are looking for peace and relaxation. Marissia and her staff have a longstanding and good relationship with Frangipani Beach Resort and trek west to the resort to provide massages for their repeat guests who are also Malakh's repeat guests. Comments have be made by clients regarding facials having been enjoyed more there at Malakh than anywhere else they've experienced in the world. Malakh uses Kiehl's products for facials, by the way. A reflexology client calls Marissia her "stress surgeon" and Malakh is the first call she makes each time she returns to Anguilla. Those are just a few of many solid endorsements. One last important note! If you are experienced with getting a spa service, you know that most therapists, once your service is complete, tell you to "take your time" and relax with no rush to get up. However, you also know in many cases, the therapist is standing outside of the door with a cup of water, waiting on you. The pressure to jump up, put your clothes on and get out of there can be intense. Your small amount of check-out time and restfulness comes to an abrupt halt... Not at Malakh! This is not a busy, get them in, get them out, tightly booked place. They really mean for you to doze off if you like, lay there, relax, take your time. You being able to enjoy their work for as long as possible is important to the staff of Malakh. So know that when they say it, they mean it... as it should be. Hours: Malakh's hours work with the sun. They allow for walk-ups and also take reservations. Each day, the hours begin roughly around 10am and end roughly by 5pm, weather permitting.